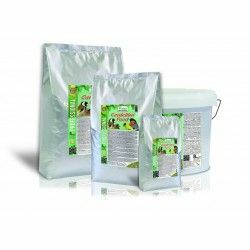 SUPER-VIFOSCAL gives the ration food a few basic principles, such as vitamins and minerals, whose addition, in suitable proportions, can meet the needs required by the young animals in the phase of parenting. By completing the various classes of feed with SUPER-VIFOSCAL to avoid the diseases of deficiency: Rickets, vitamin deficiency, delayed development, weak constitutions, etc, increases organic defenses, decreasing, therefore, the number of casualties; it stimulates the appetite, strengthens the body and produces a greater force on foster care; improves the transformation rate of the food and reduces the cost of operation with consequent economy. 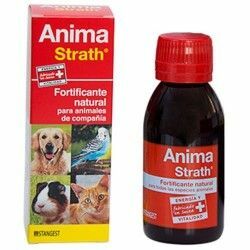 Especially indicated for young animals, in order to cover their needs vitamin and minerals. As a supplement to animal feed in the stages of parenting. On livestock: To prevent and cure all deficiency states, hence their employment in cases of: Rickets, vitamin deficiency, delayed development, weak constitutions, oftalmías, dystrophies, bone and skin, loss of appetite, exhaustion, convalescence, etc, and in general, as a source of health and vigor in all sorts of animals. In poultry: Covers to the satisfaction of the needs of the vitamin and minerals of the chicks, by activating intensely the vital processes of cell proliferation; it stimulates the development of the parenting, giving rise to animals strong and robust, thereby reducing the diseases and, therefore, the number of casualties. COMPOSITION: analytical Constituents phosphorus 4,5%, calcium 24,5%, sodium 4% Composition calcium carbonate, dicalcium phosphate, sodium chloride, sepiolita, D,L-methionine, iron carbonate, magnesium oxide, manganese oxide, iodato calcium, copper sulfate, cobalt sulfate, zinc oxide, sodium selenite sodium. MODE OF ADMINISTRATION: oral Route, mixed with the feed. As a guideline, we recommend the following doses: Foals and calves 10 g/day - Piglets, lambs and goats 5 g/day - Offsprings 2.5 g/day - old Chicks, 1 Kg for every 50 Kg of feed. Legal category: Feed mineral complementary. Nutrition 100% complete and balanced specially designed for adult dogs that helps to maintain the continued growth and energy needs of young companions and playful. Indicated in cases of cannibalism. 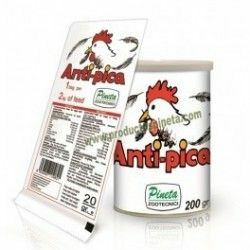 Antipica is suitable for tido of birds. Contains products of vegetable origin, minerals, cereals, essential amino acids. Suitable for Canaries Factor Yellow brings out the color and gives Shine. 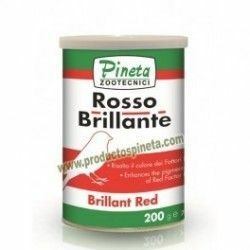 Indicated for Canary Factor Red brings out the color and gives shine. 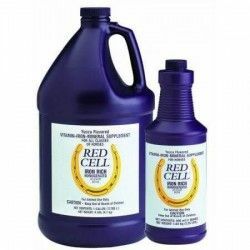 On the basis of berries and wild herbs, improve naturally the coloration of the edges. Sily Pro is a protective and detoxifying the liver. Fact milk thistle. 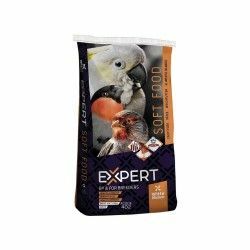 Bio Sac is a probiotic of high quality specifically designed for pigeons of high competition. 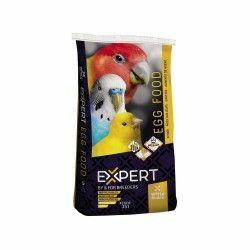 Complementary food without egg for birds that eat seeds, without artificial colouring paste-breeding white morbid without egg has a great acceptance among the different species of birds. The Pasta of Brood to the Egg is a complementary pet food for birds that eat seeds. The Pasta of Brood to the Egg Morbid has a great acceptance among the different species of birds. The dandelion (or dandelion) is, of course, the main meal and most prized of all the spinus and carduelidi. Advantages: If supplied in times of difficulties, in particular, to carduelidi, is able to solve critical situations, primarily as a consequence of intestinal inflammation and digestive functions. Very effective as a liver-tonic and refreshing. Features: supplement for mashed potatoes. To use every day, before and during the breeding season. Rich in vitamins A, B, C and D. Benefits: recommended for digestive, diuretic and cleansing. Food 100% natural and without preservatives. Ideal for any type of hens. Mixture of cereal pieces. Pack for lovebirds papilleros. Everything you need in a pack. Quitragrasas of cleaning action, which acts with a triple effect and leaves a pleasant smell linón. 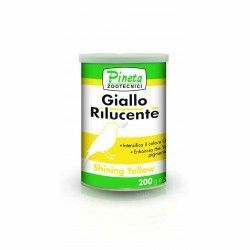 Vitamin supplement for high performance horses, both infants and adults, in any stage of their life.